The cute edible owls just keep popping up everywhere, this one is a fun and healthy addition to breakfast or an afternoon snack. It is a sweet and sour owl snack made from fruit that Jill of Meet the Dubiens created. 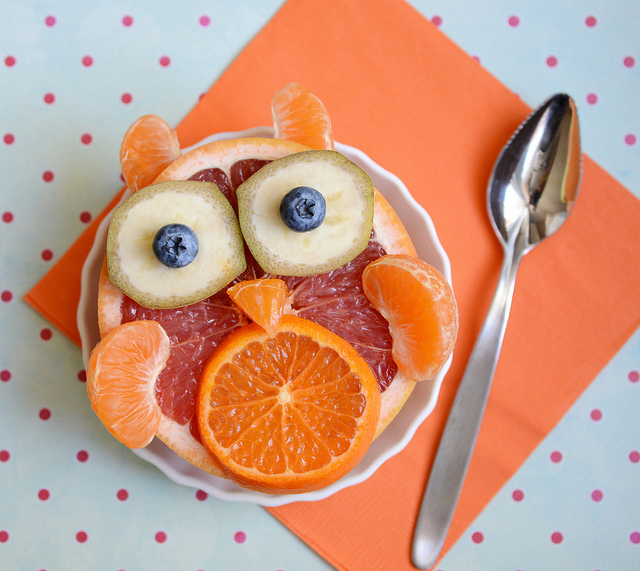 You can check out the grapefruit owl snack over at Canadian Family.